"This only proves Joe's greediness..."
This was forwarded to me from my support guys last week. It was sent to them by someone who is using my Push Button Automarketer. But you know me – I have to analyze the problem – I have to review the situation and see if there is something I can do better. So – when I get a note like this, it makes me sit up and pay attention. I’ve been investing for almost 25 years now. During that time, I have spent millions of dollars on advertising to bring in more business and find great deals. Sometimes those dollars have been wasted and sometimes they have helped me hit home runs. The ad costs have typically been between $5 and $10 per lead and the quality of the leads have been all over the board. I’ve paid upwards to $100 per lead in the past. The cost of my advertising has always run between 10% and 20% of my gross business income – which is a substantial expense. Peter Drucker (business guru) once said, there are only two profit centers in a business – 1. Advertising and 2. Innovation. Everything else is an expense. He sees advertising as a profit center! And I agree – without advertising, your business goes under. So that brings me to my Automarketer system. It’s a lead generator. 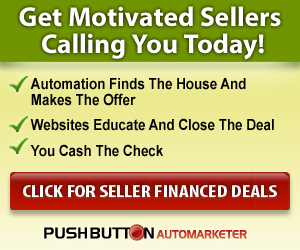 It generates Seller financed deal leads. The people who respond are more likely to accept a seller financed deal because that is the ad THEY are answering from us. Typically, these leads cost between $1 to $2 each with the Automarketer, depending on how you figure the cost. 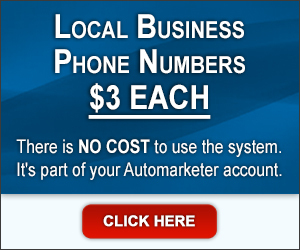 If you use the system, you get a lot of leads each month – more than 4. But here’s the rub – no matter how many you get and how good they are, they won’t work with you if you don’t know what you are doing. 1. Believe you have a solution to their problem. 2. Believe you are competent and able to carry out that solution. Both of these types of leads can make you money, but they are a lot fewer and farther between than the people who will work with you if you are competent. Stupid and Desperate leads are also harder to work with. It’s difficult to work with stupid people… and desperate people usually won’t fight you, but their problems are often more difficult to fix. That means you must learn how to talk to sellers and get them to work with you. It’s not that hard to do, but it DOES take some practice. They also want things from you that you can’t give them and that they can’t get for themselves – like huge down payments or lease option fees. You have to learn how to deal with these demands – again, this isn’t rocket science, but it takes practice. I teach these techniques in the free training that comes with the Automarketer. 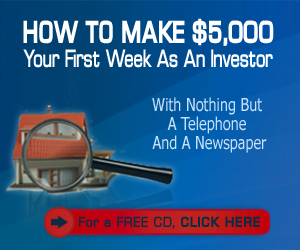 Okay, so I want to be clear – just because I think my system is the best thing since sliced bread doesn’t mean I think it will make you rich in 3 weeks. Just because it has changed my life and the lives of many of the folks who are now using it everyday, doesn’t mean that it will drop money in your bank without you doing anything. Also, if you don’t follow the instructions, it won’t even bring you leads. You have to send out the marketing emails – this is a 3 step process – filter your list (3 clicks), queue the leads (2 clicks), click the “send” button (1 click). Once you do that, leads will start coming in over the next few days. 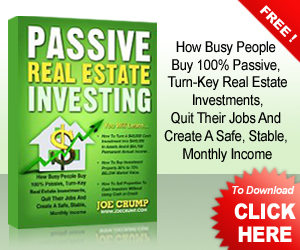 If you use the textblast system or the voiceblast system it will bring you leads in the next few MINUTES. Okay – am I ranting yet? After my initial knee jerk reaction to the note I got above, where I probably wasn’t very generous in my appraisal of the person who sent it, I calmed down a bit and tried to figure out what was going wrong and how I could keep others from feeling “ripped off” by my system. Here is what I decided. 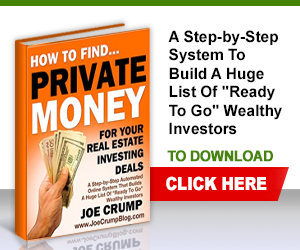 I know that it’s a good system and that lead generating is only a part of what it does. 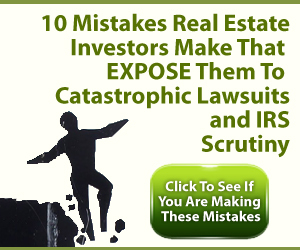 There are also a full set of websites, a full blown automatic follow up system, listing sites, datafeed systems, contact systems, buyers systems – on and on – it is 90% of what you need to run a business as a real estate investor. You will probably never use everything it can do. So here is what I decided – I didn’t do a very good job of educating this person. They didn’t understand how my system worked and what they needed to do to be successful with it. Somehow, with all the training and the info I send to the users, this user didn’t get it. And to be perfectly honest with you… I was less patient with them than I should have been. Most of the time, when someone gets mad at me, it’s because I didn’t properly set expectations. I didn’t properly educate them on what to expect. This is true for me as a teacher and software designer and it is equally true for me as an investor working with buyers and sellers. People feel ripped off when they think they are paying for one thing and getting something different. So my takeaway from all this? – first of all, practice patience – second, get better at setting expectations and know that no matter how good a job you do, there is always someone out there who doesn’t like you. Don’t take it personally. I have no idea what he meant by that, but he said it with a sly half smile I will never forget. Stay strong. Don’t whine. Give your love freely. Life is about more than business. 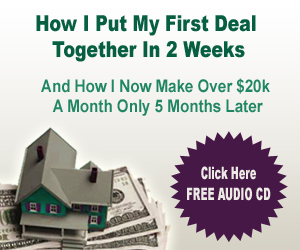 One lead a month for $200 is plenty — if you know what to do with it! One lead for $50 is a bargain–if you know what to do with it. If you don’t know what to do with it, a lead for a penny is a waste of money. 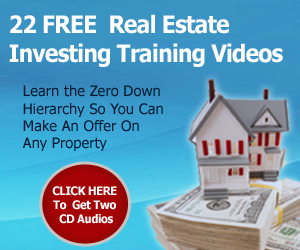 The key is to open the mind and learn what to do –then attract some leads. It takes courage to admit what you don’t understand and persistence to educate oneself. Nobody can look within for you; nobody can live for you. The first house I flipped with Joe’s system I made $17,000 and that’s plenty of money to reinvest in education and leads. Stop whining and quit or get busy! A clearly written and honest appraisal of how we can look within ourselves first, and then how we can help educate others, or let it go. 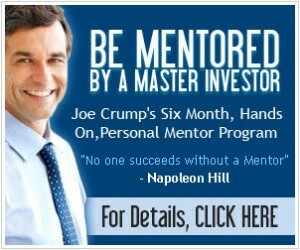 Hey JOE,I LIKE YOUR BLOG POST HERE. I LIKED YOU BEFORE FOR MANY REASONS. anyone ever asks me about real estate investing I mentioned you in a few other dudes but no matter what I see that your a real dude. Joe, there are always some people that do not get it and some who do get it but do not follow through and some who think it should be easier than you have made it and some who are impatient and some are just angry … well , whatever. The fact still remains that you do a good job more than most to get it through to those whom you teach. It is impossible to get everything so complete that you have all that you know into the system. It is just impossible to do that. The gaps get filled in with coaching and hands-on experience over time. I have been less successful with your system than many others and I know that it is me who is the reason for that. I could blame it on somebody but there comes a time when each of us must see the truth and admit it to ourselves in order to progress. Enough said. You are doing fine !!! Hi Joe. This is a best response I ever read. Bravo Joe. 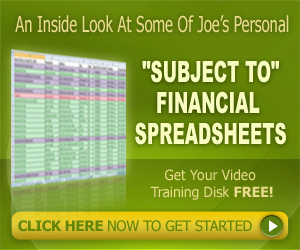 Ok I am going to say this Joe is not a rip off his system really works and for that person who did this god rest his soul I had someone do this to me in LinkedIn and guess what I moved on people we all have worked with Joe and know Joe most of us personally some of us just by his software we use. I cannot believe how someone who has the brain well ok not brain but the nerve to even post this wow. I guess we suppose to give in and lower the price we have families here and mouths to feed. I am sorry learn like the rest of us please and stop badgering good people to make yourself look good I had to learn the hard way and still learning this business is real grimy sorry Joe I have to say it and people are really greedy but Joe is not one of them…..